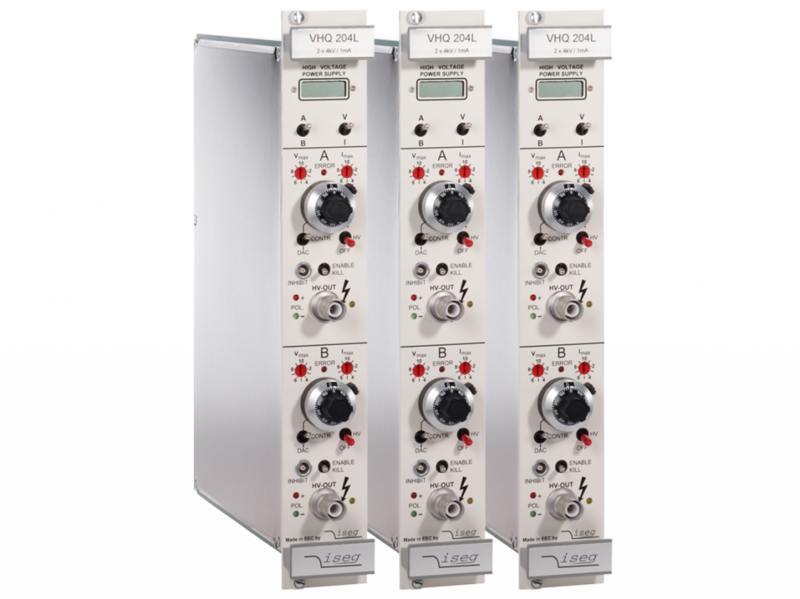 For analysis of unknown substances in Biology, Chemics and Medicine, Mass Spectrometers are widely used. 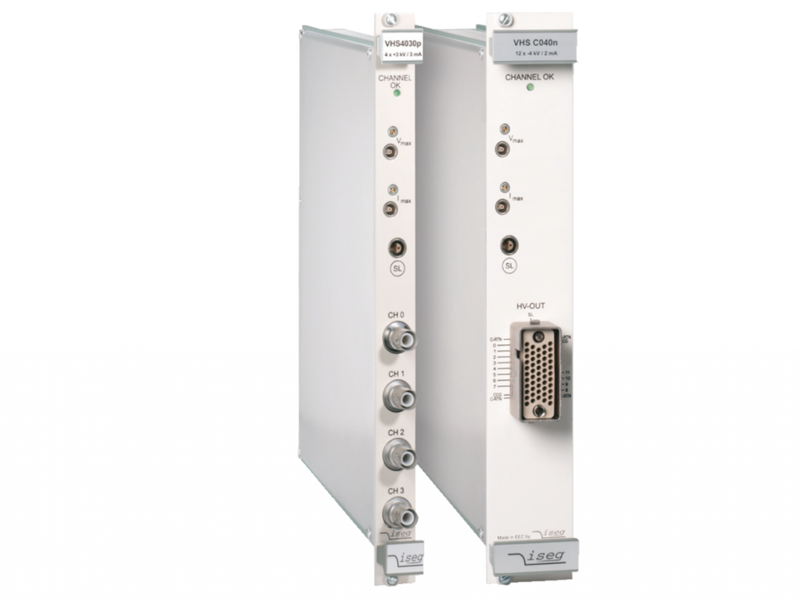 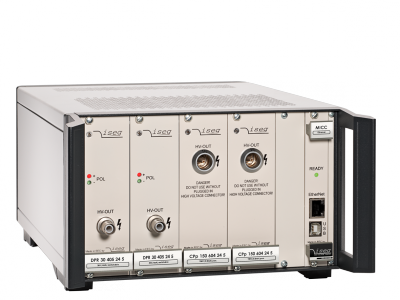 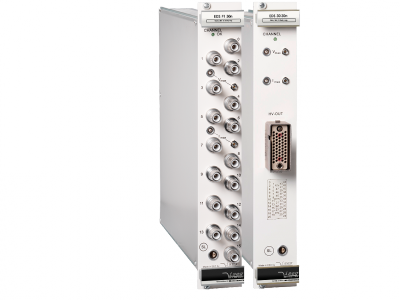 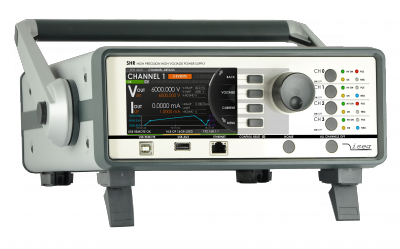 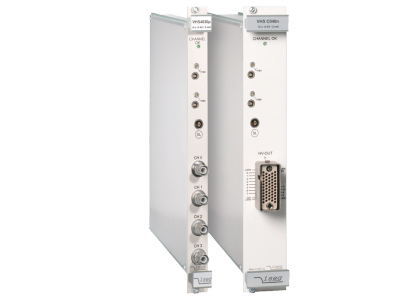 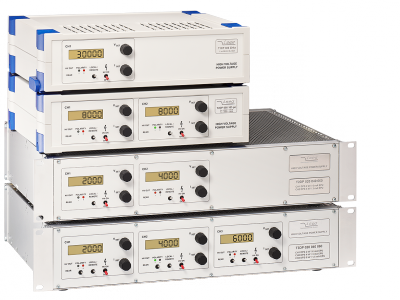 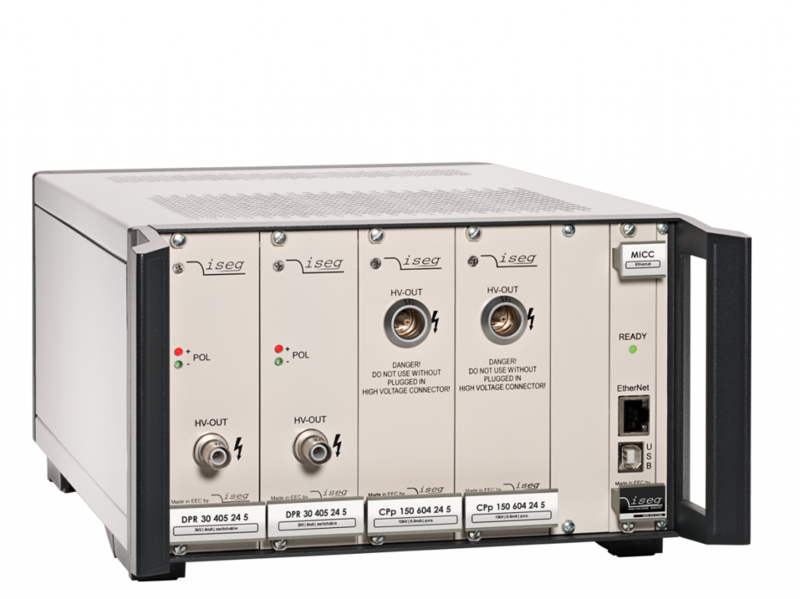 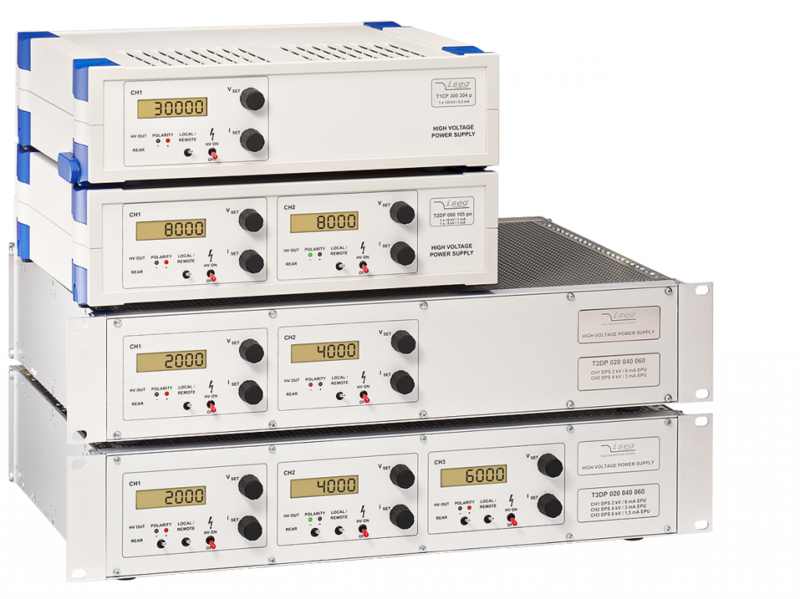 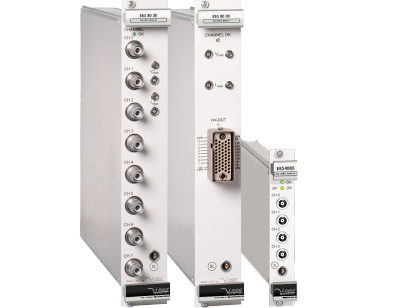 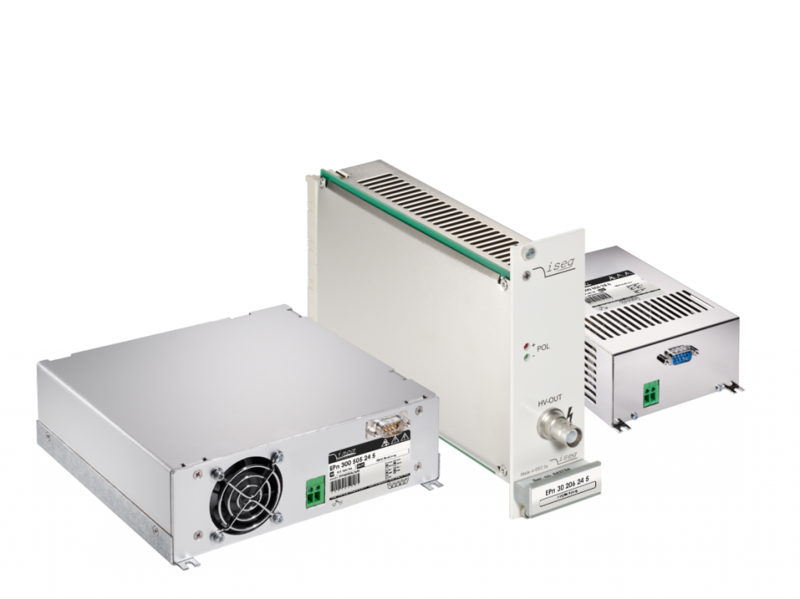 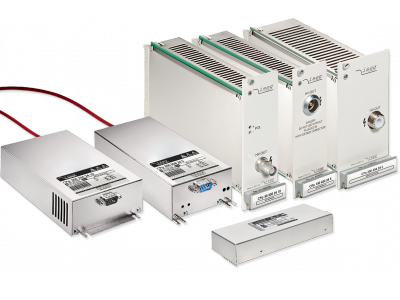 Depending on design and application of the mass spectrometer, high voltage power supplies with very high stabilities are necessary for the required analyses. 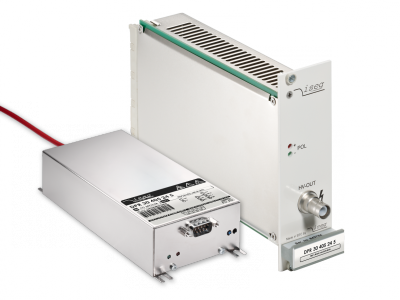 iseg offers standard solutions as well as customer specific designed power supplies. 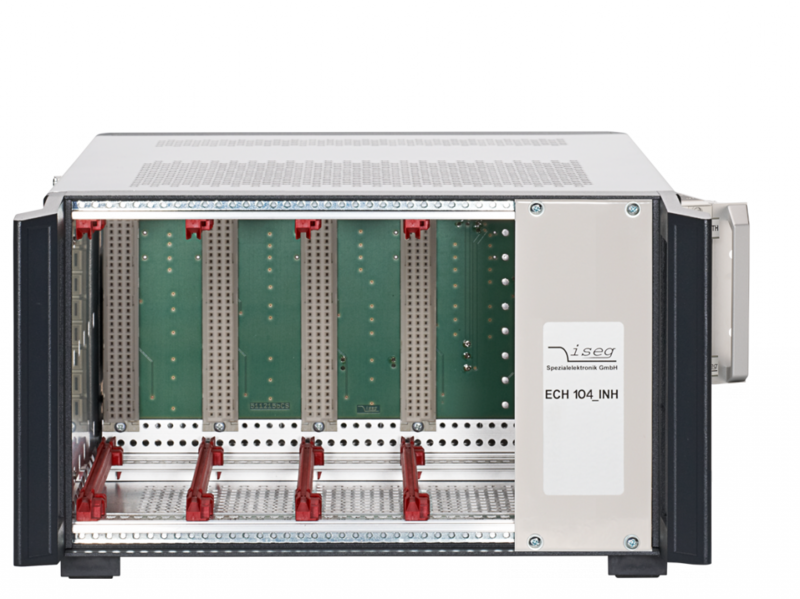 ECH crates of 124/128/12A in MMC design are ideally suited for mobile and stationary usage by it´s compact construction. 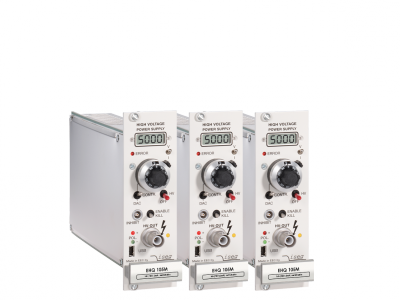 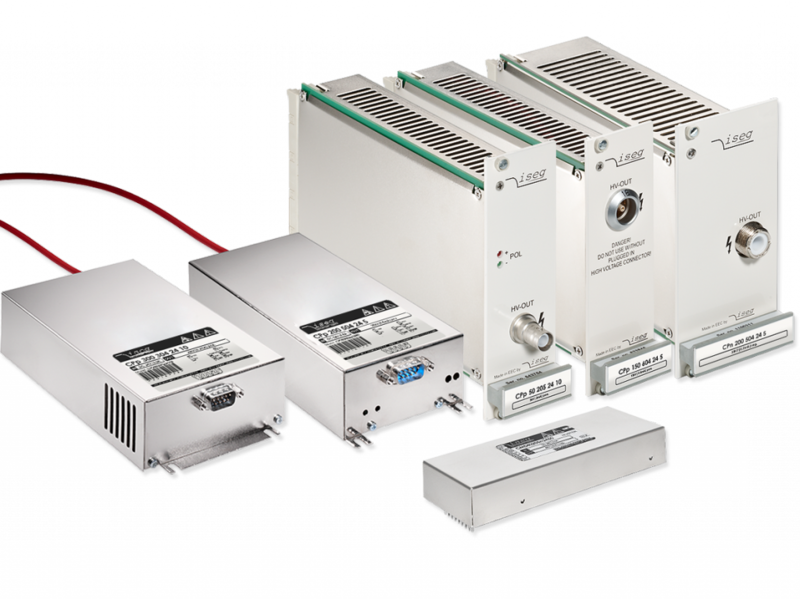 In MMC system crates analog controlled DC/DC converters of CPS, DPS or EPS series can be digitally controlled by the MICC crate controller. 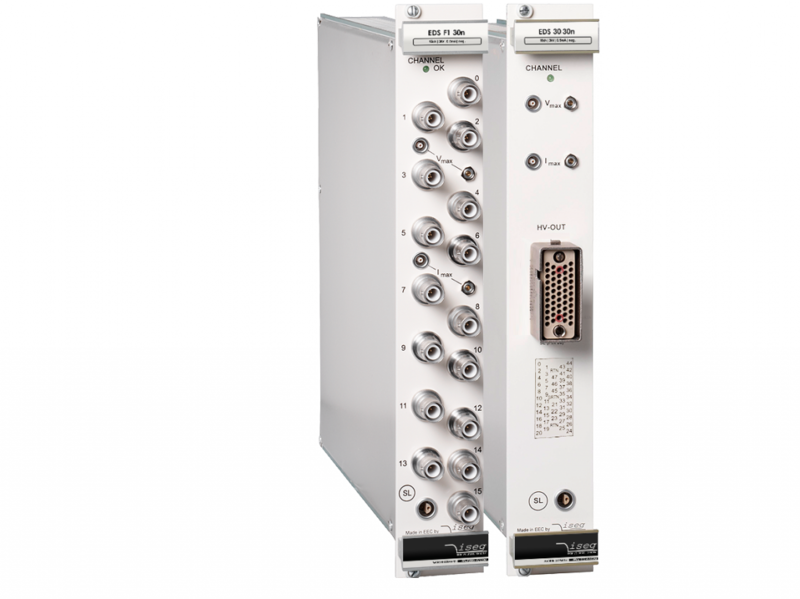 Thereby versatile HV supply systems can be composed, which are either powerful (EPS), highly precise (DPS) or providing a cost saving coverage of a wide HV range (CPS). 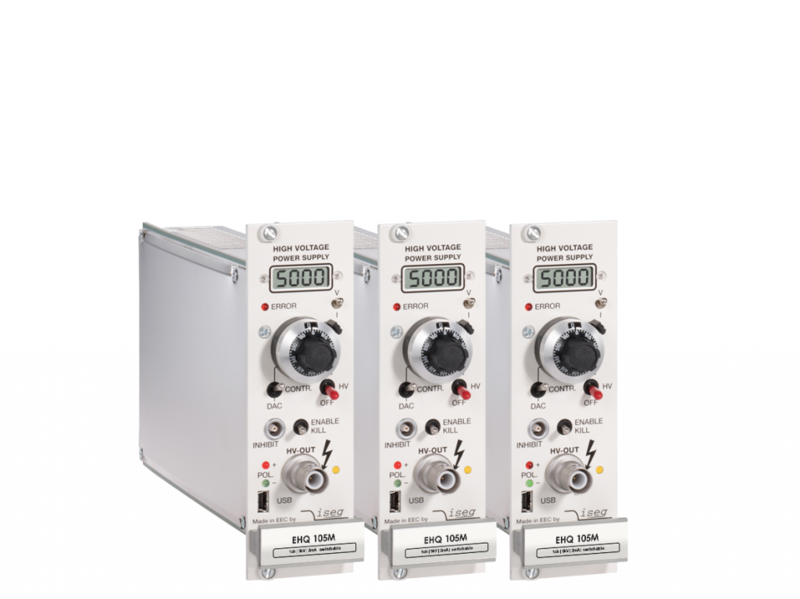 ECH 242 / 224 / 244 / 238 is the classic iseg crate series in MMS system. 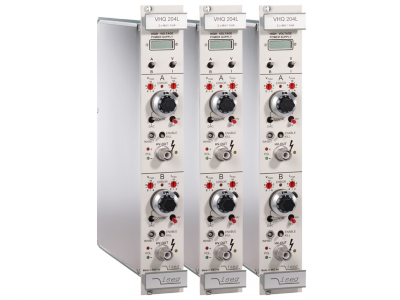 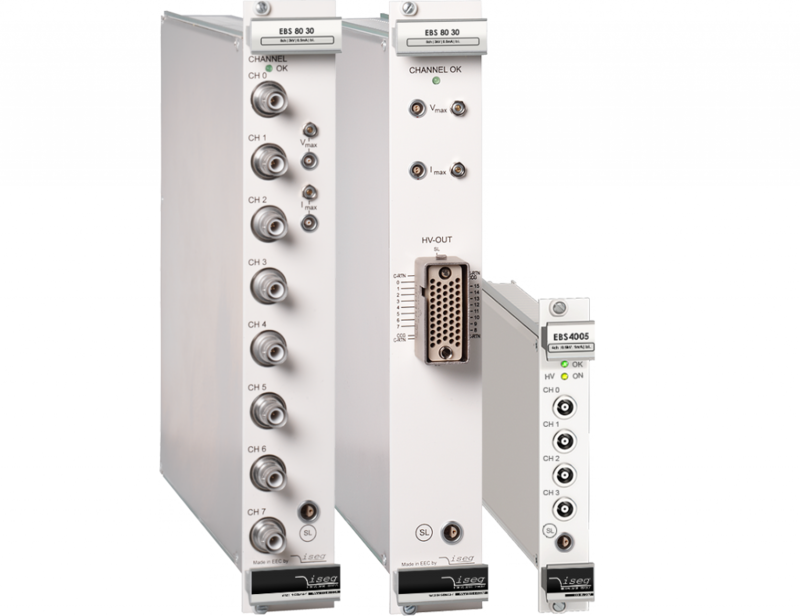 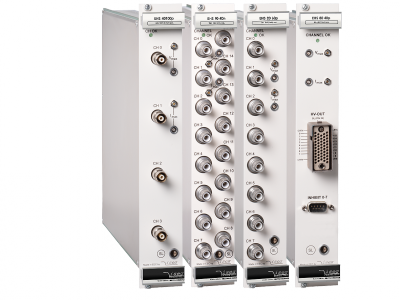 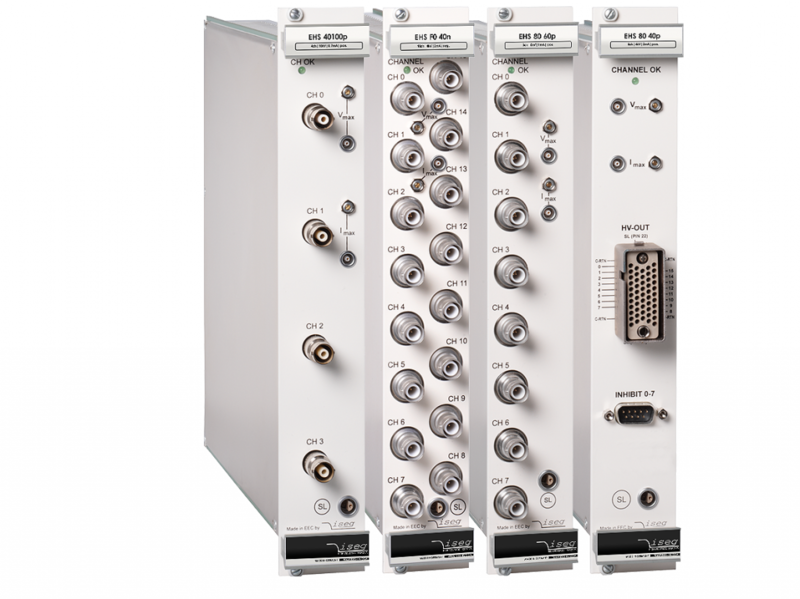 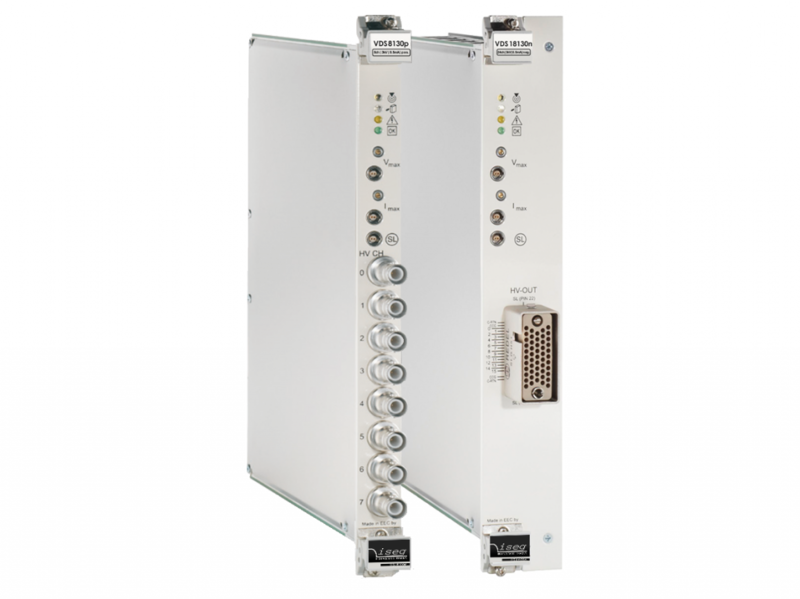 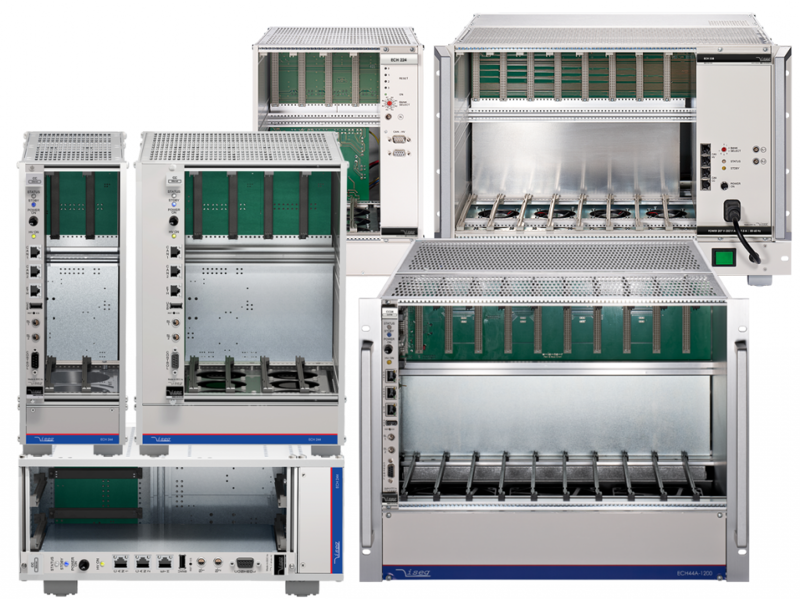 It is available as desktop version with 2 or 4 module slots or in 19“ full-size rack format with 8 module slots. 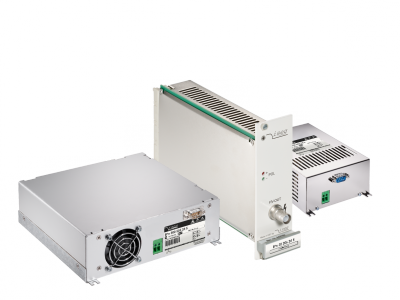 With 1,200 W power, optional integrable fan-unit and optional UPS unit the ECH 238 is perfectly prepared to reliably handle demanding HV supply tasks. 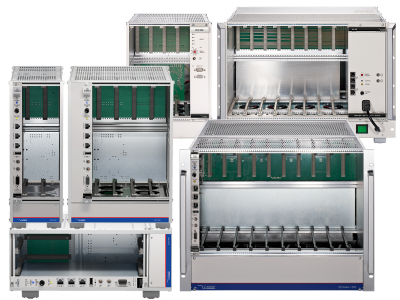 The crates can be clustered and remotely controlled. 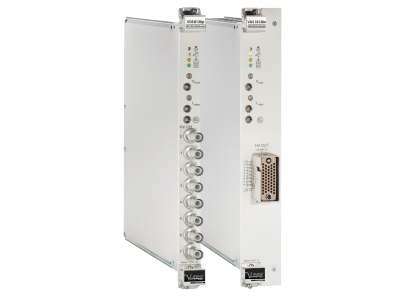 The iseg ECH 5xA crate series provides 10 iseg multichannel module slots, can be equipped with Low- and High Voltage modules (version dependend) and work with CC24, CC23 or Mpod Controller. With two external electrical isolated CAN lines, powerful 1,200 W and optional UPS.